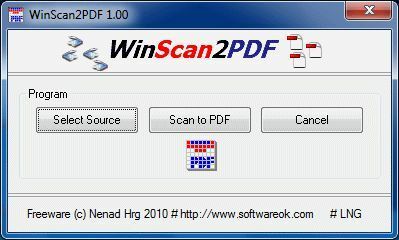 WinScan2PDF is a tool for scanning documents to PDF. You can use it with any attached scanner. It has a very basic interface that is easily understood, and makes the process of scanning documents and saving them as PDF a one-click event.